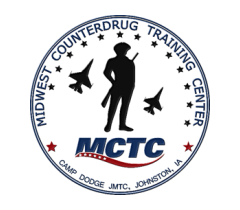 This course is restricted to US military and sworn law enforcement personnel. Over the course of the last ten years, approximately 150 law enforcement officers have died each year in the line of duty. Law enforcement is a dangerous profession and there will always be line-of-duty deaths at the hands of evil people. Unfortunately, too many officer deaths are due to so-called “accidents” or otherwise preventable circumstances. In some years, the number of deaths due to accidents is actually higher than the number of deaths due to felonious assault. Below 100 is an officer survival training program that will provide you with simple yet sound advice that will help to minimize risk in nearly any imaginable law enforcement scenario, eliminate preventable deaths, and reduce overall line-of-duty deaths to below 100 for the first time since 1944. Below 100 Instructor is an eight-hour program. It includes the four-hour Below 100 Intensive, as well as the four-hour Train-The-Trainer certification. Individuals completing this course will be able to teach the Below 100 Intensive course to their own departments and to other members of the law enforcement community. Who should attend: It is recommended (not required) that instructor-candidates already have experience as departmental instructors. Below 100 Instructor is a 1-day (8 hour) course. A certificate of completion from Below 100 Intensive is required to attend this course.